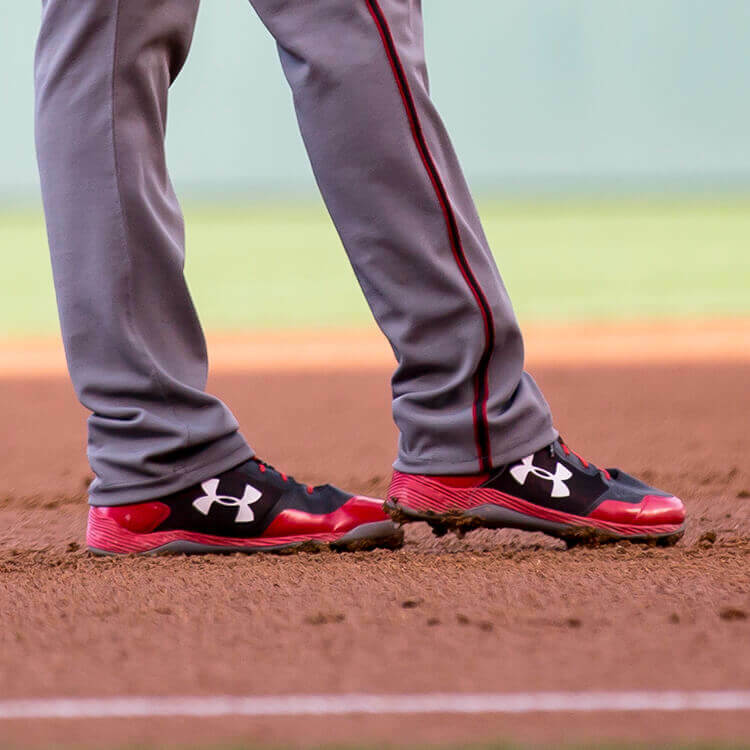 Jake Lamb rocks Under Armour Heater cleats in custom colorways. I think we were unlucky and shot a boring version but we’ve seen others that look pretty good. Unfortunately, UA never bothered to release anything but the standard team colorways of these, and they really never reached their full potential. 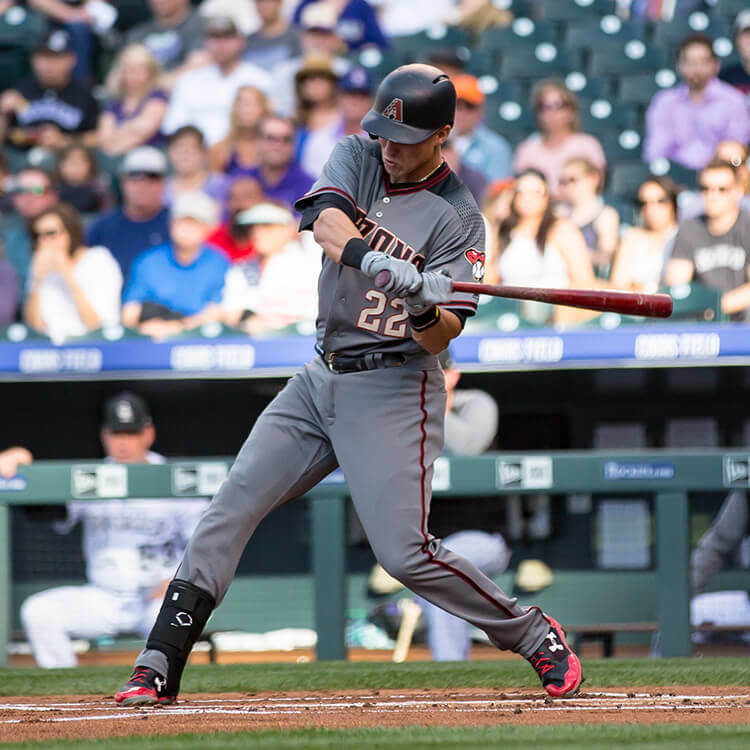 Categories: Arizona Diamondbacks, Jake Lamb, Gear, Cleats, Third Base.